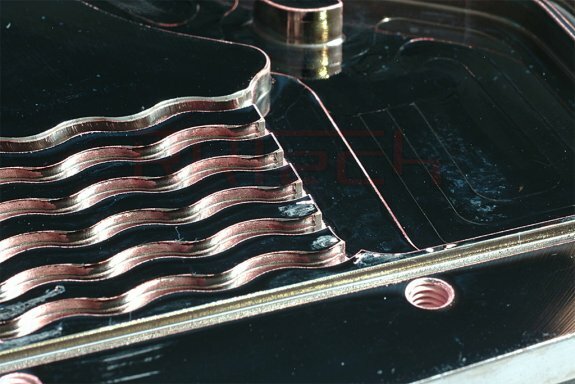 Water-cooling major EK Waterblocks (EKWB) halted the production of nickel-plated copper water blocks. The company received several complaints from users about the nickel plating to be of substandard quality, and corroding away much faster. Nickel plating itself is supposed to work as a corrosion-resistant coating over copper. Nickel plating gives the surface of the block a chrome-like lustrous shine. EKWB, after conducting its own tests, blamed silver coils and copper sulphate additives, anti-algae agents used in public water supply. A weak defense, considering people use distilled water (battery water) in their loops, or coolants that are formulated to be less corrosive than tap water on metallic parts of the loop. A RRTech forum member conducted a wide range of tests including microscopic imaging of a water block, revealing what he alleges to be substandard quality of nickel plating, rather than corrosion caused by bad coolant. Meanwhile, EKWB halted production and sales of nickel-plated copper water blocks.